Giving you time. 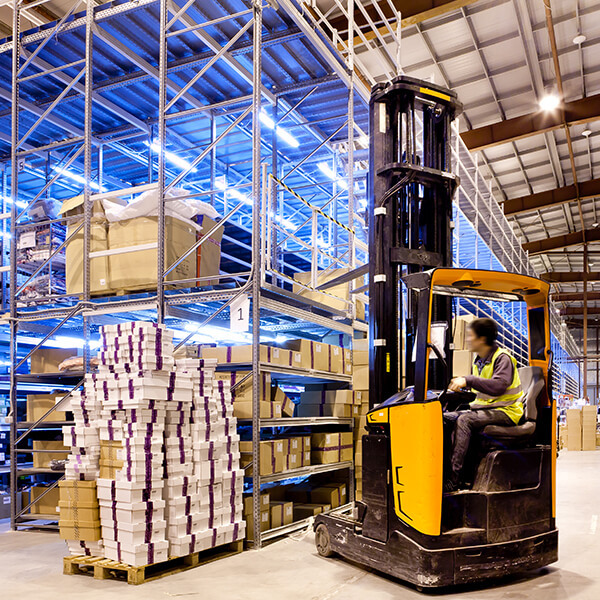 Time to grow your business by managing your inventory timely, accurately, safely. MilwaukeeWarehouse is an inventory management company providing full warehousing and distribution services of food-grade, retail, industrial steel and general commodities in Milwaukee and the Southeastern Wisconsin markets. Offering a comprehensive package of supply chain services including pick & pack, custom packaging, kitting & light assembly, UCC 128 labeling, re-labeling, quality assurance, POP display building and marketing support, export packing, cross docking and order fulﬁllment. Our Customers -- Customer relationships are our life line. The long-term implications of our actions will be considered in our daily routines. We will strive to be the go-to third-party logistics provider in the Milwaukee, Waukesha, and Southeastern Wisconsin marketplace. Our People – Our people are our most valuable assets. We will be safe. We will work hard. We will listen to your needs and be responsive. We will do this because it’s more rewarding that way. And because of this, we are very good at what we do. Our goal is to be responsive to our customers’ needs, creatively solve their distribution challenges and foster an environment that rewards safe, customer-focused actions. Our Community -- We live in the community. We work in the community. And we will serve our community. We will give back to the community that sustains our business. We will be actively engaged citizens and volunteers of charitable organizations. We will take every opportunity to support our local vendors. We are a better, stronger organization in a well-connected community.